Norah Lewis is a research associate with the Department of Social and Educational Studies, University of British Columbia. Lewis, Norah. 1995. “"Isn’t This a Terrible War?&quot;: The Attitudes of Children To Two World Wars”. 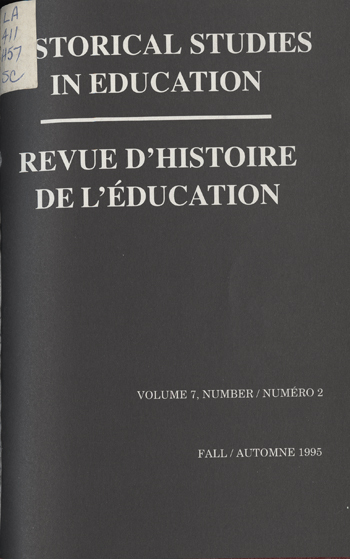 Historical Studies in Education / Revue D’histoire De L’éducation 7 (2), 193-215. https://historicalstudiesineducation.ca/index.php/edu_hse-rhe/article/view/1398.